Taking note these days of the various tours all starting to crank back up now that the 2013 World Series of Poker is now just a speck in the rear view mirror. 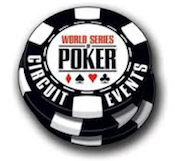 The 2013-14 World Series of Poker Circuit is off and running with the first of 22 scheduled stops already completed. Like last year, each stop of the WSOP-C is following a similar format with 12 events highlighted by a $1,675 buy-in Main Event in which the winner earns a spot in the season-ending WSOP National Championship along with the first prize cash. The Foxwoods Main Event completed yesterday with Jason Strasser topping a field of 591 to earn the ring and $186,600 first prize. Seems like I was just at Foxwoods for the last WSOP-C ME there, won by Kevin “BeL0WaB0Ve” Saul back in April, one of the last stops of the 2012-13 WSOP-C campaign. Saul beat a field of 615 to win $194,178. Was perusing the WSOP’s live updates from the Foxwoods event today and saw the inclusion of a nifty replayer in which one can watch all 218 hands from the final table. That’s in addition to extensive reporting from all three days of the tournament as well. Seek that replayer out among the WSOP site’s live updates (I can't link directly to the replayer). Meanwhile, the World Poker Tour’s Season XII has already gotten underway with the bwin WPT Merit Cyprus Classic at the Merit Crystal Cove Hotel Casino in Kyrenia, Cyprus. Today they played down to a final six-handed table from a starting field of 262 in the $4,400 buy-in event with Alexey Rybin leading. Rybin led at the end of his Day 1 flight and at the end of Days 2 and 3 as well. First prize earns $258,000 in that one. From Cyprus the WPT hops over to the Bicycle Casino in California for the Legends of Poker then the WPT Foundation Ladies’ Night Invitational, then continues to hop around from continent to continent until the season ends with the $25K WPT World Championship at the Bellagio next May. 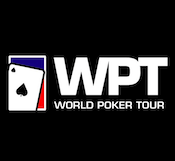 The WPT also has a pretty full “Regional & National Schedule” of events with a dozen stops all over the U.S. and in Morocco, Spain, France, and China. The WPT additionally has that new “Alpha8” schedule of high-roller tournaments with buy-ins of at least $100,000 that gets going next week down at the Seminole Hard Rock Hotel & Casino in Hollywood, Florida. I’ll be heading down to do some reporting for that one, actually, and like many am looking forward to seeing how that new series plays out. Finally, many in the poker world are excited about Season 10 of the European Poker Tour getting underway next week in Barcelona, Spain. 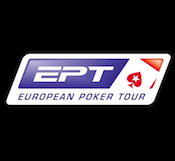 All of the EPT 10 stops feature many events, with the Barcelona one including 27 different tournaments plus eight more Estrellas Poker Tour events going on as well. Highlights from the EPT Barcelona stop will include the €50,000 Super High Roller event, a €10,300 regular High Roller event, and the €5,300 Main Event. I’m actually getting a chance to go report on the EPT Barcelona Main Event as well, and so expect I’ll be sharing some observations from that trip here, too. A pretty packed calendar for tourney players, and that’s not even including the many other tours, including the the Latin American Poker Tour (Season 6), the Asia Pacific Poker Tour (Season 7), the United Kingdom & Ireland Poker Tour (Season 4), the Heartland Poker Tour (Season 9), and others already ongoing.